The Easiest Way to Store Your Favourite ProgrammeTV programmes can be recorded onto a USB Memory Stick or external hard disk drive simply by pressing the REC button on the remote control. 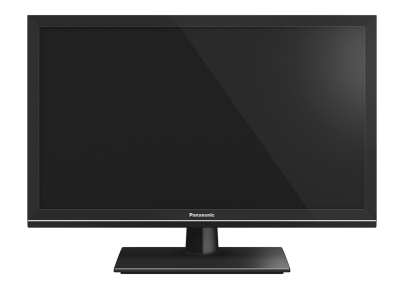 *This feature requires a USB hard drive or flash drive with a capacity of at least 160GB.Enjoy Your Favorite Content in the Optimal Viewing ModePanasonic TVs give you the best picture mode for viewing. Sport mode combines vivid hues with a surround effect for viewing real-life soccer and other sports. And the quick image response of Game mode boosts gaming fun with a more direct playing sensation.Ready to Playback High Dynamic Range Content with Life-like HighlightsHigh Dynamic Range (HDR) content on HDR enabled TVs delivers images much closer to the way your eyes see the real world. Deep blacks are combined with very bright highlights to produce a level of reality not previously possible on a television.Easier Content Access by Customisable Home ScreenEnjoy content with "1-step access". my Home Screen 3.0 can be customised to let you reach the content you frequently use. You can design your own home screen with Live TV, your favourite apps, web bookmarks, and frequently used devices.Watch TV Broadcasts in Any Room without Needing An Aerial SockeGone are the days when your TVs have to be positioned near aerial sockets. TVs that can be set up as In-House TV Streaming Clients can simply have broadcasts streamed to them (via LAN, Power Line adaptors or even Wi-Fi) once they've been converted to internet protocol signals by an In-House TV Streaming server such as a high-end TV or a set-top box. *This function may not be applicable under unstable network conditions or with some content.